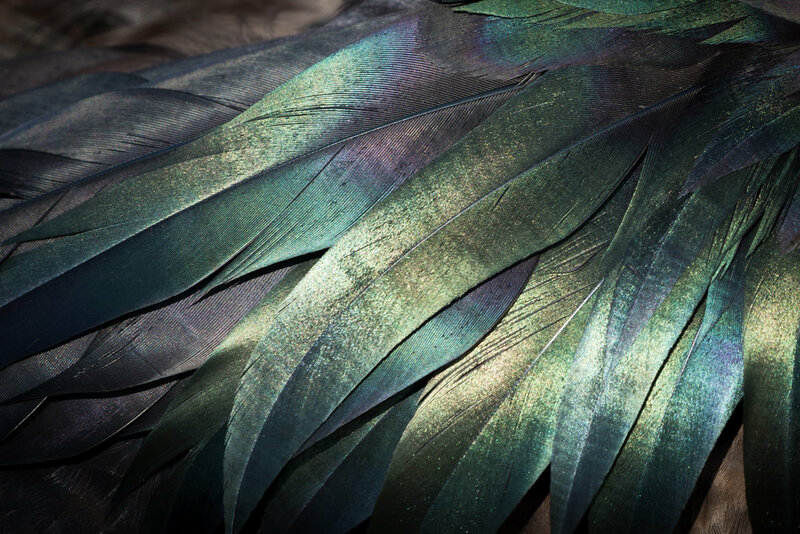 We'll have eight days and seven nights aboard our own private and exclusive yacht, the 14-passenger Petrel. We'll have a naturalist guide with us in addition to our two pro photographers and leaders, David Rosenthal and Lisa LaPointe. We will have access to areas that the big boats can't get to, and most importantly (as long as we follow the rules of the Galápagos National Park), we have the ability to go ashore on our own schedule, so we won't miss the best light and sightings. With photography as our priority, we’ll make sure that mealtimes are scheduled around our shoots, not during. We'll walk in the footsteps of Charles Darwin who visited here in the 1830's on the HMS Beagle, and we'll try to channel his experiences as he formulated his theory of natural selection. May 6, 2020: Arrive anytime this day into Guayaquil, Ecuador. Take the hotel shuttle or a taxi to our hotel in town. Relax and unwind. May 7, 2020: Today we will gather for an informal shooting session in the coastal city of Guayaquil, exploring the Malecon (waterfront) and perhaps climbing the 400-plus steps of Cerro Santa Ana to the scenic lighthouse. This evening, we’ll reconvene at our hotel by 6:00 PM, and make our way together to our welcome dinner. May 8, 2020: After breakfast we will head to the airport for our flight to The Galápagos, landing at Baltra Island airport. After boarding our private yacht and attending a brief orientation, we will set our sights for North Seymour Island. Here we’ll explore the rocky coast by Zodiac and on foot, passing colonies of blue-footed boobies and magnificent frigatebirds nesting among the Palo Santo. 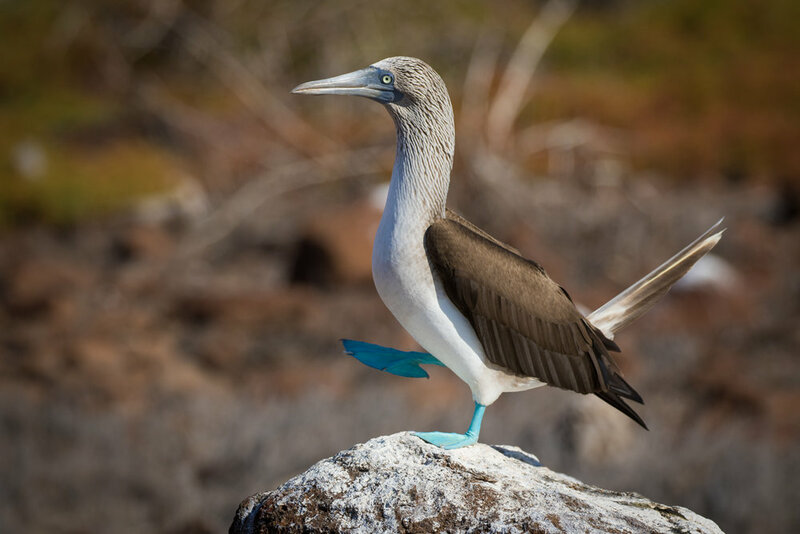 We may also see red-footed boobies, Nazca boobies, marine iguanas, and land iguanas. May 9, 2020: This morning we’ll visit Isabela Island, exploring Vicente Roca Point by zodiac. Here the remnants of an ancient volcano form two separate coves, with an adjacent bay protected from ocean swells and ideal for snorkeling. Seahorses, sea turtles, mantas, the strange yet fascinating Mola mola (ocean sunfish), and even killer whales are known to frequent the bay, and we will also look for rays, puffer fish, sea lions and penguins (yes, penguins! ), blue-footed boobies, Nazca boobies, and terns. In the afternoon, we’ll head to Fernandina Island, landing at Espinosa Point. The La Cumbre Volcano dominates the landspace here, with lava fields reaching towards the ocean. 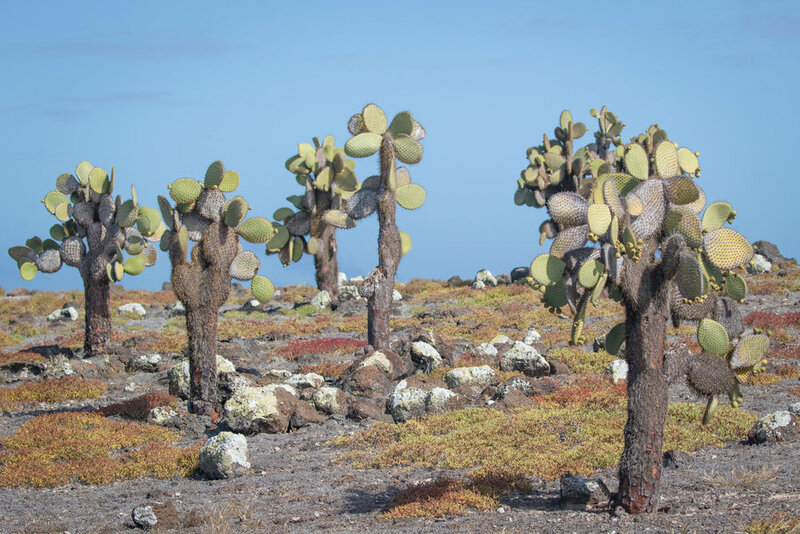 Fernandina is home to the endemic flightless cormorant and the Galápagos hawk, as well as hundreds of marine iguanas that gather for warmth on the vast stretches of black lava. May 10, 2020: This morning, we return to Isabela Island, where we’ll spend the day. First, we’ll visit Tagus Cove, long used as an anchorage for pirates and other early visitors. A different kind of treasure is sought today: we’ll look for penguins, marine iguanas, colorful Sally Lightfoot crabs, and sea lions. In the afternoon, we’ll move to Urbina Bay, located at the base of the Alcedo Volcano on the west coast between Tagus Cove and Elizabeth Bay. This area experienced a major uplift in 1954, causing the land to rise over 16 feet and the coast to expand half a mile out. Urbina Bay is a great place for snorkeling, as turtles, rays, and tropical fish abound. 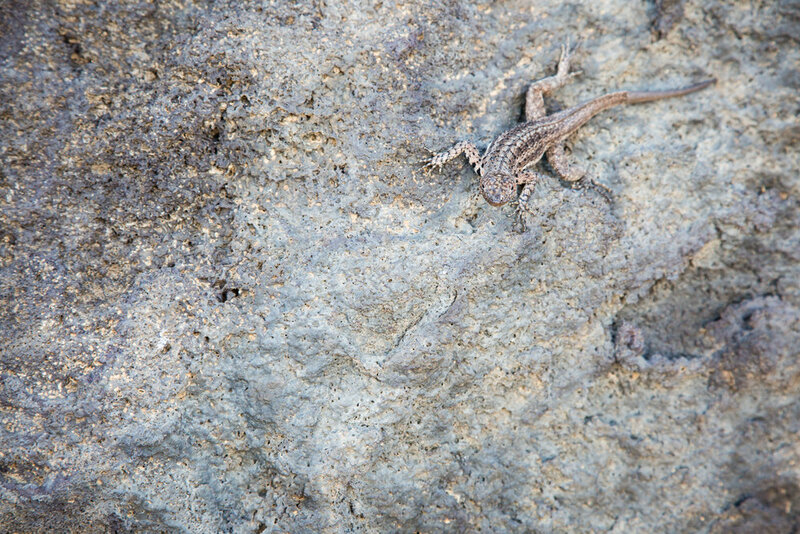 It is also a good place to see both land and marine iguanas ashore, and if we are very lucky, even a tortoise. May 11, 2020: This morning we’ll enter Elizabeth Bay, a large west-facing bay nestled between two volcanoes. Three small islands in the bay provide an important breeding area for Galapagos penguins, so landing is not allowed, but we’ll explore by zodiac. The shores of the bay are blanketed by mangroves, home to nesting boobies and cormorants, and the shallow waters are home to cownose rays and a variety of fish. In the afternoon we will snorkel and have a short hike at Moreno Point, which is located near Elizabeth Bay on the west coast of Isabela Island. Moreno Point consists of lava surface that has collapsed into itself, yielding brackish ponds filled with flamingoes, ducks, herons, and other waders. May 13, 2020: This morning we’ll be visiting the Charles Darwin Station in the town of Puerto Ayora, on the island of Santa Cruz. 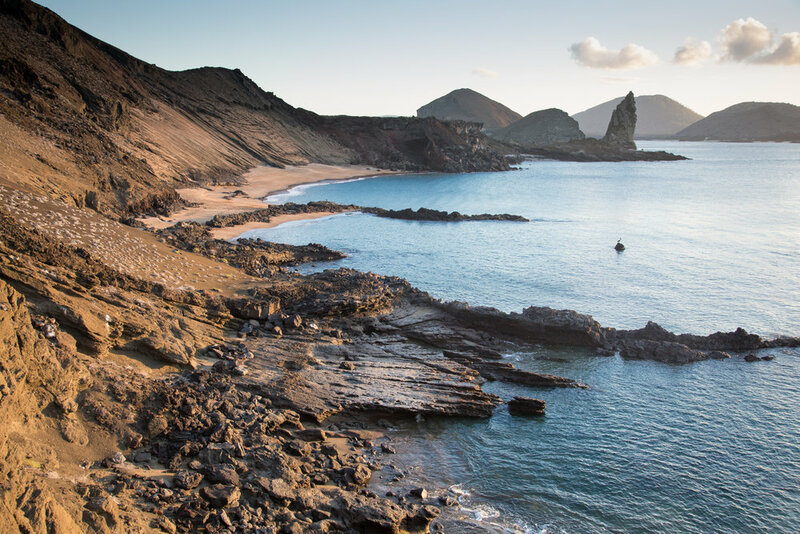 The Charles Darwin Research Station is a key player in Galapagos conservation initiatives: conducting scientific studies, removing invasives, and raising endangered species for release. It is the best place in the islands to see the rarer subspecies of tortoise, as many are kept at the station for breeding purposes, and it is a great place to learn about island conservation challenges and solutions. In the afternoon, we’ll visit Los Gemelos, or the Twin Craters, volcanic depressions located opposite one another at the highest part of Santa Cruz. The view is lovely here, and bird life (including finches) abounds. 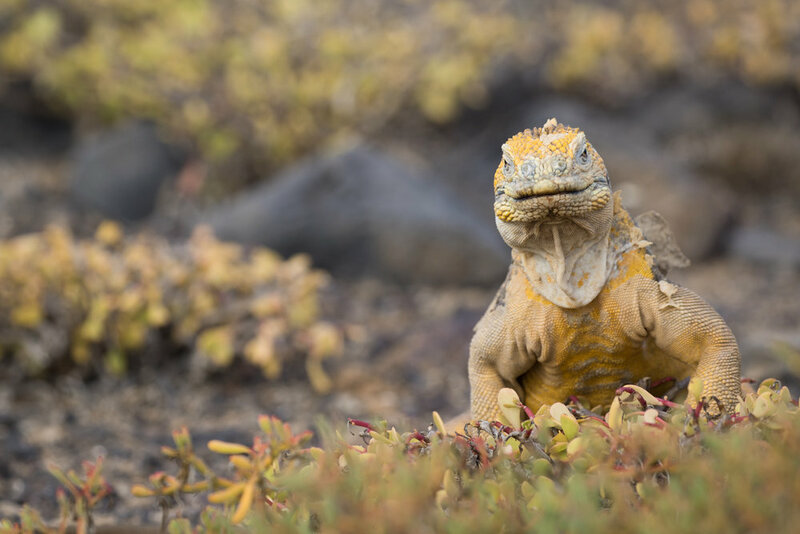 May 14, 2020: Our morning stop will be a South Plaza island, to view one of the largest populations of land iguanas, and densest aggregations of birds, anywhere in the Galapagos. 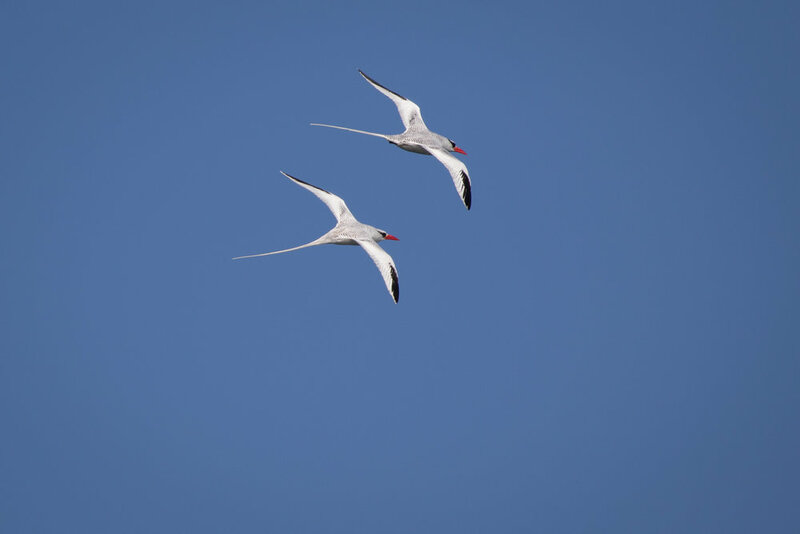 Red-billed tropicbirds, boobies, and frigates soar on ocean updrafts, and swallow-tailed gulls nestle under opuntia cactus. 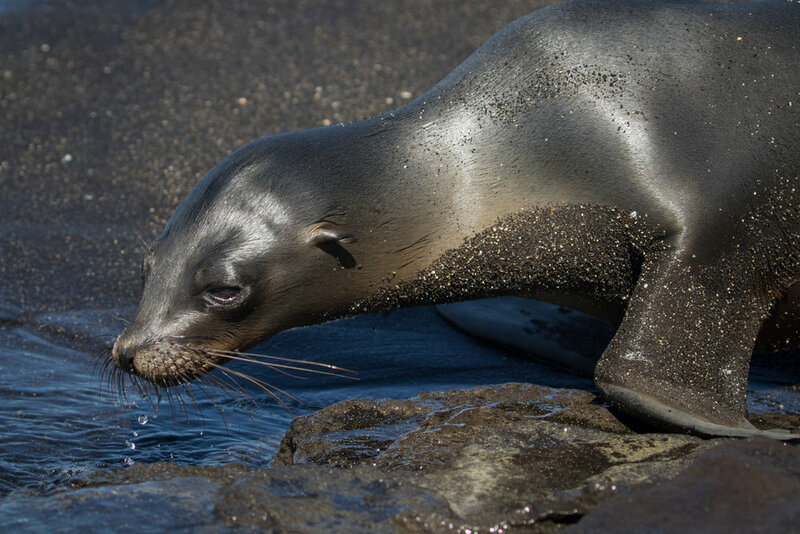 In the afternoon, we’ll visit Santa Fe Island, a volcanic uplift that is home to a large sea lion colony and a pair of often-seen endemics: the Santa Fe iguana and Santa Fe rice rat. 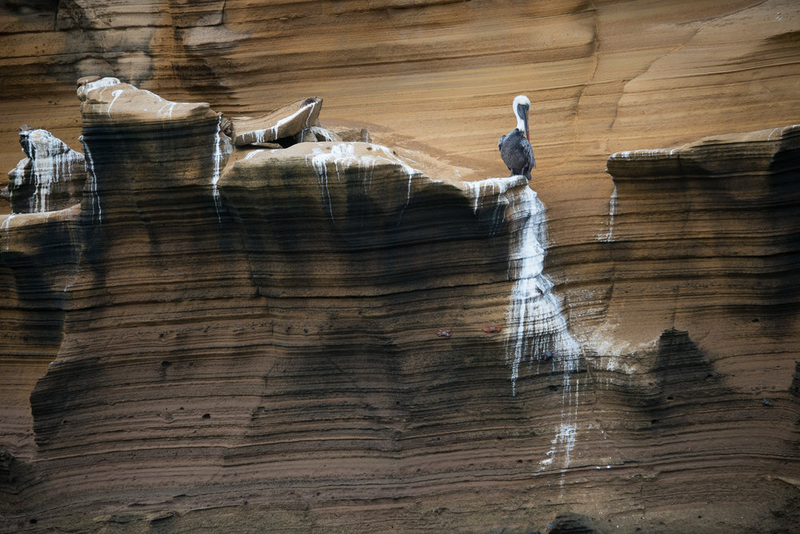 May 15, 2020: Our morning landing will be at Isla Lobos, or “Sea Lion Island” (the Spanish name for sea lion, lobo marino, translates as “sea wolf”). 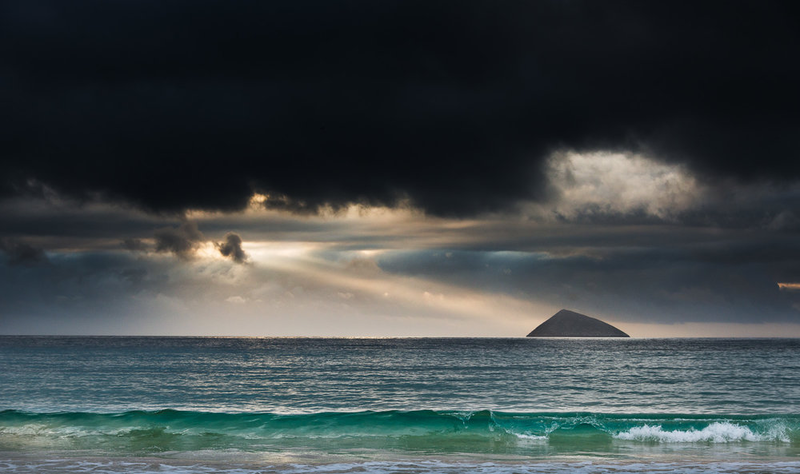 The name is appropriate, as the island plays host to a large number of the playful pinnipeds. The island also offers great snorkeling opportunities, as well as the chance to see blue-footed boobies and frigatebirds. In the afternoon, we’ll disembark The Natural Paradise and transfer to San Cristobal airport for our flight back to Guayaquil. We should be back in Guayaquil by approximately 2:30 PM. Flights home can be anytime after 5:00 PM on May 15, 2020, or anytime on May 16, 2020. We will arrange a hotel room for you in Guayaquil if you are staying over on this night. International flights to/from Guayaquil, Ecuador. Airport transfers (Hotel shuttle available, and also cabs are inexpensive). Passport and visa fees. Travel Medical Insurance and Medical Evacuation Insurance (Required). Trip Cancellation Insurance (Optional). Meals in Guayaquil other than dinner on May 7, 2020. Hotel rooms in Guayaquil before May 6, 2020 or after May 15, 2020. Alcoholic beverages, and any items of a personal nature. Anything not specifically listed as included. Your deposit of $4,000 will hold your place in this workshop. Further payment of $4,000 is due by September 1, 2019. The balance will be due not later than February 1, 2020. All payments are non-refundable which is why you should have Trip Cancellation Insurance. All of our other normal Terms and Conditions apply.